As experts and experienced Game Modelers we very confidently enunciate it’s the very unique environment to design both in terms of techniques & technology and as an art form. 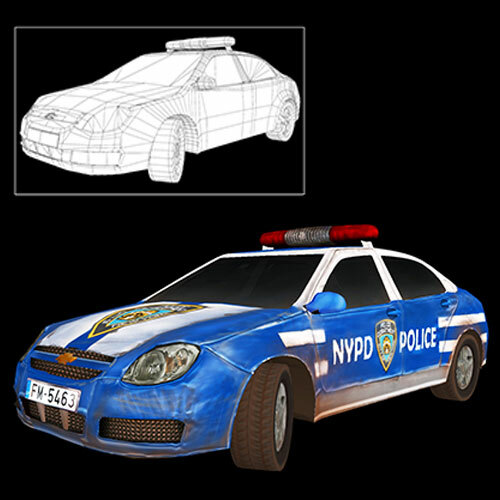 3D Game models being one of the most interactive and engaging forms of digital mediums today, the modelers has to have that eye for details and an organized modeling approach to ensure that no stone remains unturned to give the gamers a practical and real life feel while getting engaged with game environment. Also the input for game system or console is the gamer’s actions to produce real time output it needs an in-depth real-time rendering to create the expected 3D graphics what a gamer experiences. Our expert team of 3D Game modelers ensures that the gamers on our client’s gaming environment experience the best quality real-time engagement. We bank upon our more than a decade of experience to undertake on behalf of our client any 3D Game Modeling project as complex as possible.